Thursday, August 9 at 6 p.m. The evening begins with a reception, followed by five courses, each thoughtfully paired with an excellent BuckleDown beer. As an extra-special treat, BuckleDown is tapping a barrel just for this dinner: the 2016 Shadowbox bourbon barrel-aged stout featured on the fourth course (see below). BuckleDown's Sean Mahoney will join us on the 9th to discuss his brewing philosophy and the flavor-forward beers you'll be enjoying. Cost is $85 per person, not including tax and gratuity. Limited reservations are available, so please call 708.246.2082 soon to reserve your spot. Cheers! 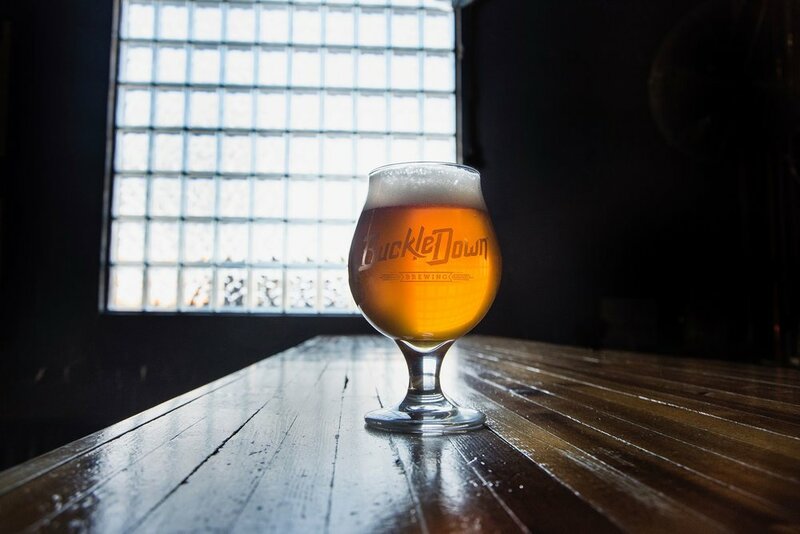 BuckleDown Brewing is a small craft brewery making bold, flavorful beers in Lyons, Illinois. We've found that the two qualities that make great brewers (or great anything for that matter) are creativity and determination. These are the principles that inspired a strong Chicago work ethic and the motivation of the artisans and tradesmen who brought it to life here. We are humbled to take part in what is becoming a world-class craft beer movement in Illinois.